Thank the blogger(s) who gave you the award and link back to their blog. 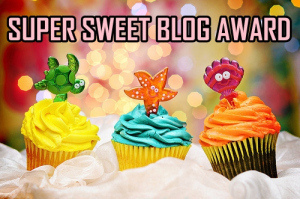 Nominate other blogs for this award and let them know. So here we go, my answers to the 5 questions! Chocolate or Vanilla? Vanilla; most definitely. How can you describe that explosion on the tastebuds, as the creator unleashes that most exquisite (and under-rated) of sensations? When do you crave sweet things the most? Around about 4-ish…. http://heruslight.wordpress.com/ Karolyne Quinn’s exciting new venture. http://wyldewoods.wordpress.com/ Cat Lane’s wonderfully life affirming space. http://tom8pie.wordpress.com/ Thomas Peace’s philospophy and photographs.